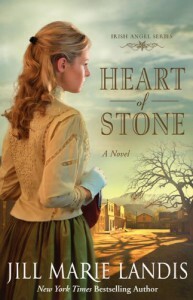 I received this book as an Advanced Review Copy, and thought I was getting a historical romance-it was a historical romance, but it's more in the genre of Christian Fiction. Once I got over the shock of this being an inspirational romance, I really liked the story. It was a sweet story with a good message-follow your heart, be willing to forgive those who have erred in their ways, and don't let others decide your fate for you. The characters were all likable, and the Reverends kids made me laugh with their antics. This book is set in the 1800s, and the author stayed true to the dialogue of the time-which was fine, but it was just hard to get used to all those reckons. :) If you're in the mood for something a little different, then I recommend reading this book.